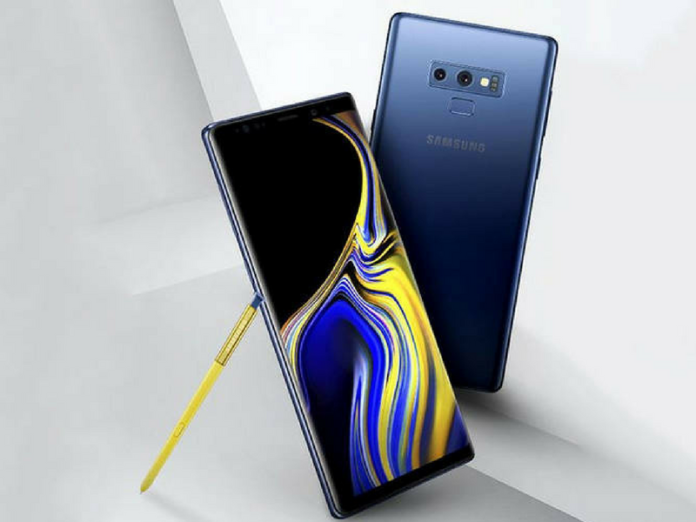 Samsung Galaxy Note 9 was officially unveiled on Thursday as the successor to the Samsung Galaxy Note 8 at the Samsung Galaxy Unpacked event in New York. The new Samsung Galaxy Note 9 model is a sleek device with curved edges. While the design remains similar to the Galaxy Note 8, the display grows slight bigger at 6.4-inches sporting the same Quad HD+ resolution. Samsung Galaxy Note 9 comes with all-new S Pen that includes Bluetooth support. The S Pen also doubles as a presentation remote control and can be used to take selfies. The phone is available in four colours: midnight black, metallic copper, lavender purple and ocean blue, the last being the marquee colour this time. With the ocean blue version, Samsung is packing in a yellow S Pen. The Samsung Galaxy Note 9 is powered by 1.7GHz octa-core processor and it comes with 6GB of RAM. The phone packs 128GB of internal storage. The Samsung Galaxy Note 9 runs Android 8.1 and is powered by a 4000mAh. As far as the cameras are concerned, the Samsung Galaxy Note 9 packs a 12-megapixel primary camera on the rear and a 8-megapixel front shooter for selfies. The Samsung Galaxy Note 9 is a dual SIM (GSM and GSM) smartphone that accepts Nano-SIM and Nano-SIM. Connectivity options include Wi-Fi, GPS, Bluetooth, NFC, 3G and 4G (with support for Band 40 used by some LTE networks in India). Sensors on the phone include Compass/ Magnetometer, Proximity sensor, Accelerometer, Ambient light sensor, Gyroscope and Barometer. It measures 161.90 x 76.40 x 8.80 (height x width x thickness) and weighs 201.00 grams. The Galaxy Note 9 will be sold in two configurations: there’s a 128GB / 6GB RAM model for $999 (roughly Rs. 68,700) and a top-tier 512GB / 8GB RAM version for $1,250 (roughly Rs. 85,900). Preorders begin on August 10th, and the phone will be available on August 24th at all major carriers or direct (and unlocked) from Samsung.